Maybe it's just me but I would love to have this as a poster. Just something about this catches my attention. 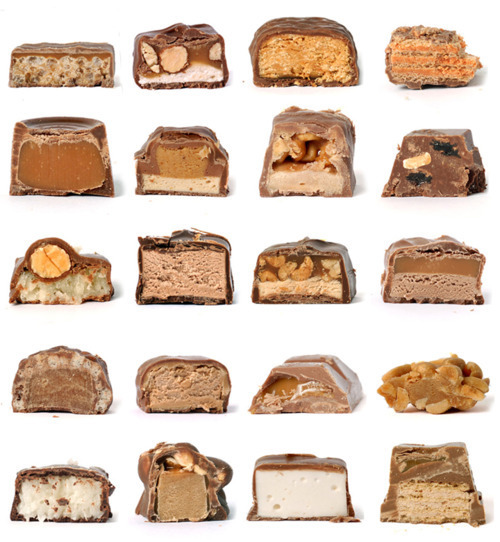 Looks like a really artistry piece, when really it's just the inside of some candy bars. Can you now them all? Give it a try.